Recently, there has been much talk of impact investing. Around the world, specialized intermediaries have appeared, mainstream financial players and governments have become involved, renowned universities have included impact investing courses in their curriculum, and a myriad of practitioner contributions have been published. Despite all this activity, conceptual clarity remains an issue: The absence of a uniform definition, the interchangeable use of alternative terms and unclear boundaries to related concepts such as socially responsible investment are being criticized. 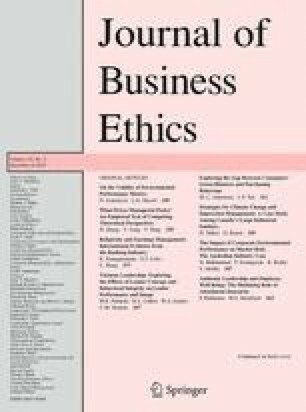 This article aims to contribute to a better understanding of impact investing, which could help foster this specific investment style and guide further academic research. To do so, it investigates a large number of academic and practitioner works, highlighting areas of similarity and inconsistency on three levels: definitional, terminological, and strategic. Our research shows that, on a general level, heterogeneity—especially definitional and strategic—is less pronounced than expected. Yet, our research also reveals critical issues that need to be clarified to advance the field and increase its credibility. First and foremost, this includes the characteristics required of impact investees, notably whether they need to be (social sector) organizations that prioritize their non-financial mission over the business side. Our results indicate that there may be different schools of thoughts concerning this matter. The article has been greatly improved thanks to comments by Timo Busch, Judith Mayer and an anonymous reviewer of this journal. Big Society Capital. (n.d.). Glossary. Retrieved August 19, 2013, from http://www.bigsocietycapital.com/glossary. Cohen, R. (2013, June 17). G8—Launch of the taskforce on social impact investment. The Huffington Post. Retrieved March 28, 2014, from http://www.huffingtonpost.co.uk/sir-ronald-cohen/g8-launch-social-impact-taskforce_b_3452877.html. EBSCO. (2013). Business Source Complete. Retrieved December 12, 2013, from http://www.ebscohost.com/academic/business-source-complete. Global Impact Investing Network. (2013a). About impact investing. Retrieved June 5, 2013, from http://www.thegiin.org/cgi-bin/iowa/resources/about/index.html. Global Impact Investing Network. (2013b). GIIN members. Retrieved August 5, 2013, from http://www.thegiin.org/cgi-bin/iowa/network/members/index.html. Global Impact Investing Network. (2013c). History. Retrieved August 5, 2013, from http://www.thegiin.org/cgi-bin/iowa/aboutus/history/index.html. JSTOR. (2014). JSTOR. Retrieved June 27, 2014, from http://www.jstor.org. ProQuest. (2014). ABI/INFORM Complete. Retrieved June 27, 2014, from http://www.proquest.com/products-services/abi_inform_complete.html. Rockefeller Foundation. (2010). Newsbrief—June 2010: When is an investment an impact investment? Retrieved January 20, 2013, from http://www.rockefellerfoundation.org/media/download/3c75e84d-9cdf-4e1a-a02f-28f37b049afd. Thomson Reuters. (2013). Web of Knowledge. Retrieved December 12, 2013, from http://wokinfo.com. Tozzi, J. (2013, June 6). Social enterprise: G8 leaders embrace impact investing with new funds. Business Week. Retrieved August 19, 2013, from http://www.businessweek.com/articles/2013-06-06/g8-leaders-embrace-impact-investing-with-new-funds.